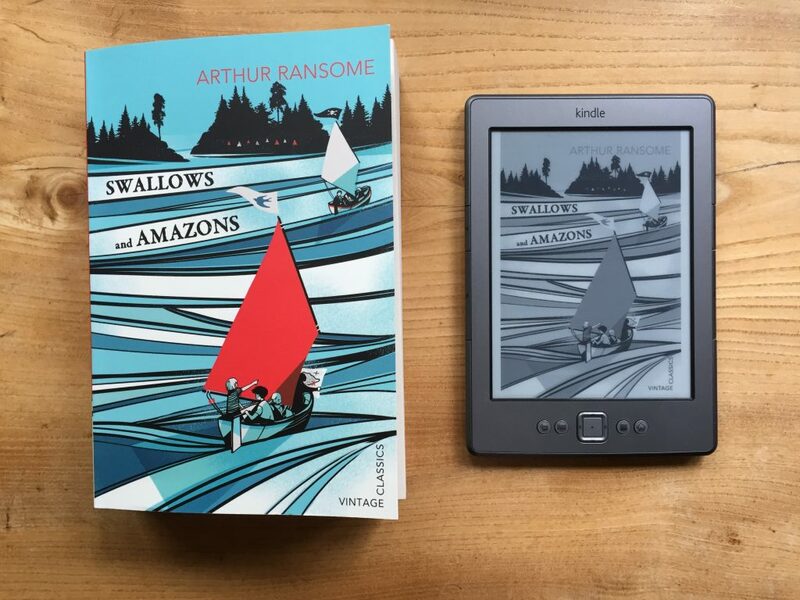 The second choice in our children’s fiction category was the classic ‘Swallows and Amazons’. With a major feature film on release at the moment a few of us confessed to never actually having read it so it was an obvious choice! I ordered my copy of the book via Amazon but, eager to get started, I also downloaded a sample onto my kindle while I waited for the delivery. Once the actual book arrived I was struck yet again by just how different a reading experience could be depending on what media you chose. An essential element of the stunning cover illustration is colour, something totally lost on my now five year old black and white kindle. 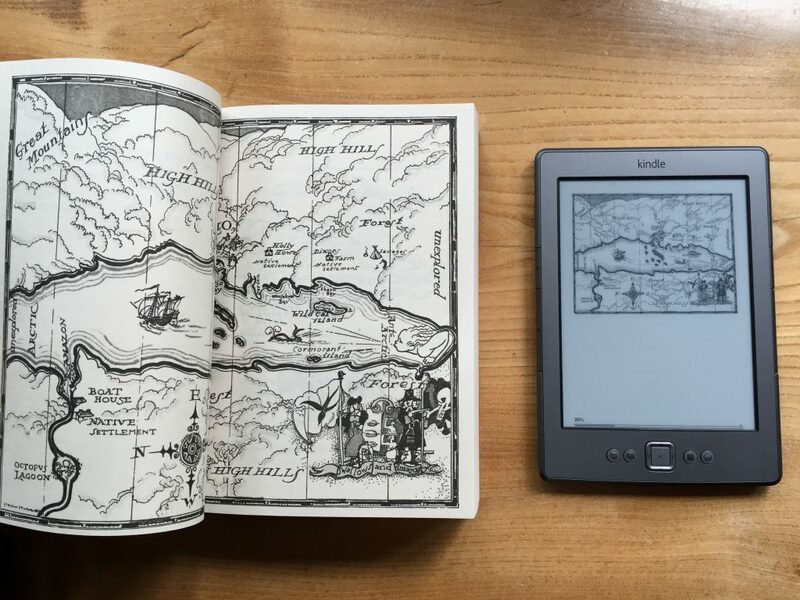 The maps and illustrations also play a key role in the story telling, something that again, my kindle could not do justice too. So, I will just have to find a little more room on the bookshelf for this beautiful classic.